Can’t lose fat? These 2 diseases might be the reason why! Getting ripped eating at McDonald’s? N.E.A.T. ways to burn more fat and stay lean! All the information you need about nutrition, diet, exercise and physchology to lose weight forever! 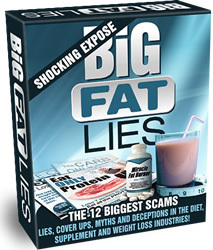 "The 12 Biggest Lies, Myths, Cover-Ups And Deceptions in The Diet, Supplement And Weight Loss Industries"
Low-carbohydrate diets, such as the Atkins diet, are very popular because it is well-known that low-carbohydrate diets are more effective, in terms of fat loss, than high-carbohydrate diets. In the research conducted by the “American journal of Clinical Nutrition” the objective was to compare the changes of biomarkers in individuals who adhered to ketogenic diet or a NLC (nonketogenic low-carb diet). In the study 20 adults were assigned to the nonketogenic low-carbohydrate diet or the ketogenic low-carbohydrate randomly. The food intakes were tightly controlled, the participants were sedentary and the trial itself lasted for 6 weeks. The research showed that the NLC and the KLC diets had the same effectiveness in insulin resistance and lowering body weight. Although it was shown that the KLC was linked to many adverse emotional and metabolic effects. What does it all mean! According to this study, it is clear that when it comes to weight loss then very low carbohydrate ketogenic diets, such as the Atkins diet with a 20 grams of carbs induction phase, and many other such diets with less than 100 grams a day, the ketogenic diets are not more effective than moderately low carb diets such as Burn The Fat Feed The Muscle (30-40% of carbs at their lowest) or the Zone diet (when the calories are controlled). The research also showed that ketogenic diets had many negative side effects that moderate low carbohydrate diets didn’t have. Just like many other such studies have shown, low carbohydrate diets result in more weight loss that for example high carbohydrate, low fat diets in the short-term. This is mainly due to the reduction of appetite associated with low-carbohydrate diets. Long-term results are not as clear because compliance is a big issue with all diets in the long-term (12 months and more). What does low carb mean? 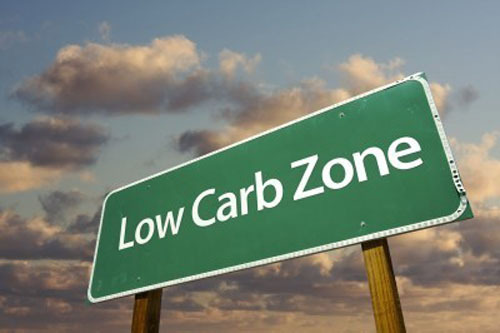 This study was designed to take a look at the comparative effects of all the diets that fit in the “low carb” category; comparing the moderately low carb diets such as the Zone diet to ketogenic diets such as the Atkins diet with 5% of total calories from carbohydrates. The proponents of Ketogenic diets have long made claims that very low carbohydrate diets, such as the Atkins diet, give a person a “metaoblic advantage” which enables a person to consume unlimited amount of calories, if the carbohydrates are kept under a specific level or if an individual stays in ketosis. Most likely the real explanation why ketogenic diets often result in higher fat loss, is because of spontaneous reduction in food and appetite reduction associated with carbohydrate restriction. This basically means that the individuals on a ketogenic diet, just consumed fewer calories. This study, like many other studies, confirms that low carbohydrate diets do provide a metabolic advantage, such as the increased thermogenesis, decreased hunger and improved insulin sensitivity. Since both groups in the study had equal weight loss, then it was rightfully concluded that the ketogenic diet did not result in higher weight loss than non ketogenic low carbohydrate diet. The important thing to keep in mind, according tot his study, is that the ketogenic group did experience many negative side effects, such as altered mood and reduced vigor, than the non ketogenic low carbohydrate group did not experience. In conclusion it has to be said that moderate restriction of carbohydrates give people all the advantages of “low carb” diets without the need for extreme carb restriction or ketosis. Meaning that ketogenic diets are unwarranted and unnecessary.